Looking for a fun new way to celebrate your child’s birthday? Let them be a ninja for the day! 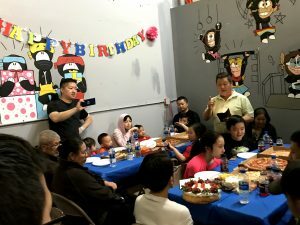 Rather than throw a typical party in the backyard, at the zoo, or the other avenues you have leaned on for hosting your child’s previous birthday parties, why not give them a unique experience they will love? 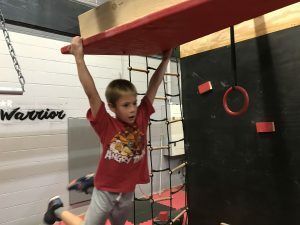 At Five Star Ninja Warrior, you can give your child the birthday party of their dreams that offers something exciting for them as well as all their friends and family. With a variety of obstacle courses to race and play on, our ninja warrior gym is fun for kids of all ages — giving them the true ninja warrior experience. 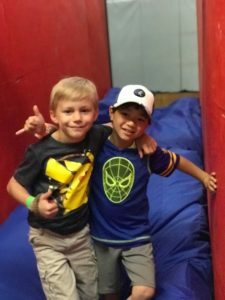 Hosting your birthday get-together at Five Star Ninja Warrior gives your children access to our incredible obstacle courses where they can compete against one another and receive guidance from our ninja warrior pros. We can also customize your party by organizing a variety of other fun games for your child and their friends to enjoy playing on the ninja warrior course. The possibilities are endless! There’s nothing we love more than seeing the reaction of kids getting to test out their ninja warrior skills for the first time. In order to keep a smile on their face as well as yours, we ensure a safe environment for all children to play and compete against one another. The following are a few guidelines that must be followed for hosting events in our ninja warrior gym. Exclusive Star Party Packages: Includes private usage of the entire gym. Two hours Open Gym Party with FREE Party room access. If our coaches did a fantastic job, please show them your appreciation with a tip. They will appreciate any tip. Anyone who is around the obstacles is required to sign a waiver including parents who will be around the course. Located right off of Interstate 35-West, we host birthday parties for aspiring junior ninja warriors across the Minneapolis-Saint Paul metro area. We can customize your birthday party to your liking with the information and budget you provide us, so we ask you to please complete the form below to help us understand your specific needs. What dates are you considering to book?